Create the ultimate gathering place with friends, family, and a beautiful cabin. Well appointed interiors, complete with beautiful wood and full kitchens. Sure, you're welcome to use it for hunting, but you'll want to spend even more time here. The Settler Modular CabinWhy Zook Cabins? From delivery to enjoyment in only a few days, this is the fastest way to the ultimate cabin experience. Small prefab cabins are a fun, family-friendly addition for lodges, campgrounds, and resorts. 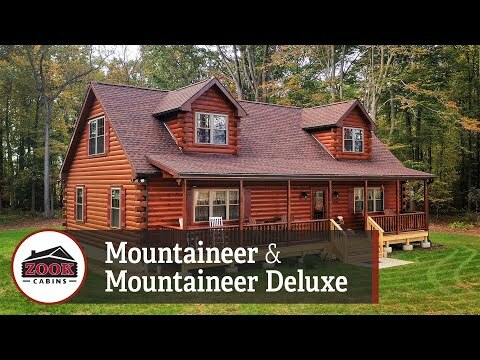 Have you always dreamed of owning your own log cabin home? A beautiful, small log cabin nestled in the peaceful surroundings of unspoiled wilderness? 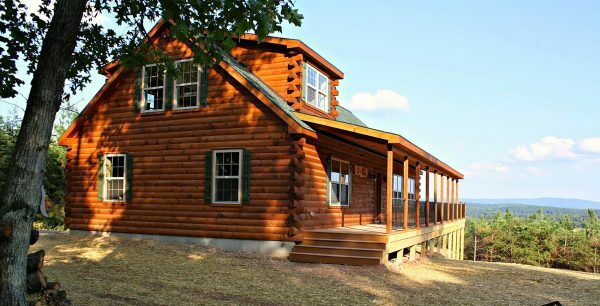 The perfect log cabin home for a week of family time, fishing, or hiking in the great outdoors? Or maybe a roomier log cabin house that includes multiple bedrooms and areas to relax so your whole family can enjoy full-time living in a cabin others only dream of? 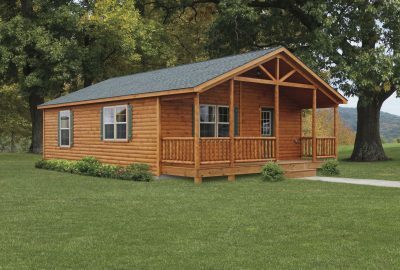 If you’re like many of the folks we meet, you love the style of log cabins so much that you dream of building your own log cabin home to live in all year round. 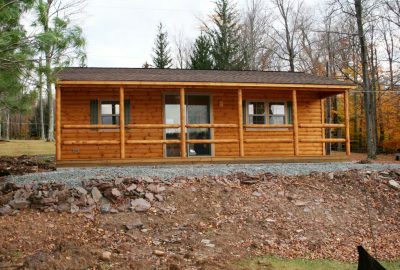 Whether you’re looking for a prefab small log cabin to serve as your rustic retreat, a log cabin house with all the amenities of home, or an elaborate log cabin home to serve as your primary residence, Zook Cabins can build the log cabin of your dreams! 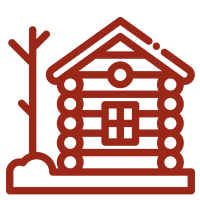 Our selection of log cabins for sale will amaze you! Check out some of these log cabin pictures for yourself. 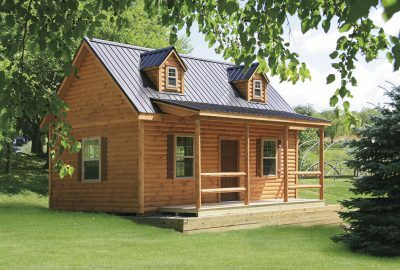 Expertly constructed by Amish carpenters, our log houses come pre-assembled and are never built from kits. 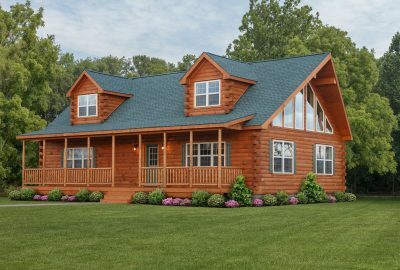 Browse the styles below to find the perfect log cabin house for your needs! 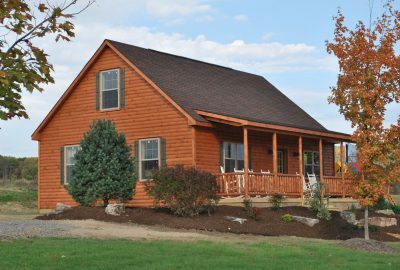 You can also give us at (610) 595-4650 if you have any questions about our Amish log cabins. Here are a few ways buying from Zook Cabins will help your experience be as good as your dreams. A premium cabin at a fraction of the cost of today’s log cabins. 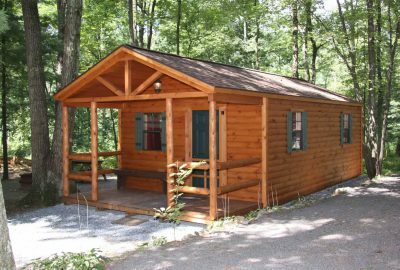 Our fully assembled buildings are manufactured in Lancaster County by Amish carpenters and each cabin is personally inspected by the owner before shipping. Building your dream log home is a big decision. Many of our customers have questions about what it really takes to build and plan for a cabin so we’ve put together a guide. Let’s get started! Yes, our modular cabins are delivered fully assembled. 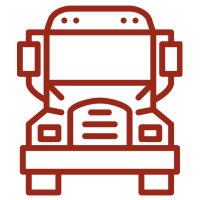 Our rollback-style trailers with side shift and many adjustments allow our drivers to navigate in tight spaces. Some cabins require us to use a crane…all in a days work for cabin delivery. Celebrate the great outdoors with one-of-a-kind log home furniture crafted from naturally cured hickory. 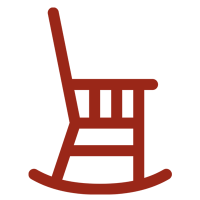 We offer a wide selection of cabin furnishings for dining rooms, living rooms, and bedrooms. 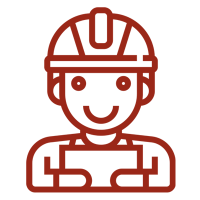 All floor plans are customizable, so let your cabin project manager know what personal touch you would like to incorporate. With Zook Cabins you won’t have any worries…just a lot more time enjoying your new modular log cabin home and making new memories for years to come! ...a moment or two later another branch broke, and they began to realize that they had a little company. His father turned around and turned on the flashlight, and there 30' from their family campfire stood an unexpected visitor...A BEAR...the perfect example of the memories that can be made and shared at the prefab log home.